National Association of Travel Agents Singapore [NATAS] |: 2012/2013 "Fun Ski & Snow Festival" & "GoGo Ski Festival"
2012/2013 "Fun Ski & Snow Festival" & "GoGo Ski Festival"
The annual winter sports travel package sales events, "Fun Ski & Snow Festival" and "GoGo Ski Festival," are set to run from December 12th, 2012 to March 5th, 2013. The events are jointly held by the Korea Tourism Organization (KTO), Gangwon-do Provincial Government, Yongpyong Resort Ski & Snowboard and High1 Ski Resort, will be offering three-night, four-day travel packages filled with excitement and enjoyment in the snow. The main programs on the travel itinerary are skiing and snowboarding lessons from professional instructors as well as an amateur ski and snowboard competition. In addition, the Festivals will be presenting various performances and hands-on experience programs involving hanbok (traditional clothes) and Hallyu Star Photo Zone. The main draw of the “Fun, Ski, & Snow Festival" and "GoGo Ski Festival" is that visitors are given the chance to participate in a wide variety of experiences (instead of watching events unfold from the sidelines). 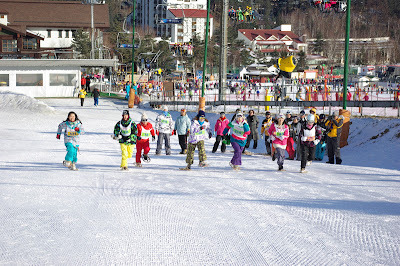 The "Fun Ski & Snow Festival" and "GoGo Ski Festival" have been hugely popular especially with international visitors from warmer regions like Singapore. 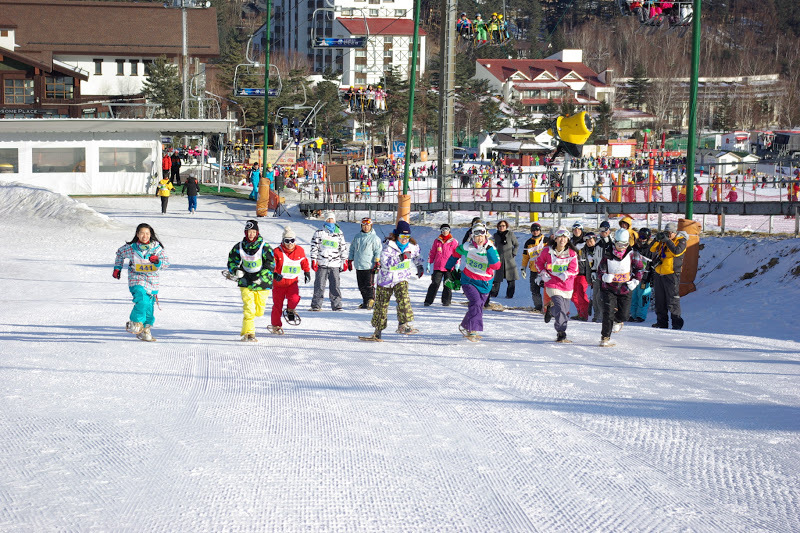 The Festivals are a great way to experience winter in Korea for both winter sports enthusiasts and first-timers. Contact these travel agencies to book your Fun Snow & Ski Festival or Go Go Ski Festival package now! The Yongpyong Resort is situated at the center of Korea’s Baekdudaegan Mountains in Gangwon-do Province, and sees an average of 250 centimeters of snowfall per season, which makes for excellent skiing conditions. Not only that, but the resort’s enormous seventeen million square meters complex includes a 45-hole golf course, gondolas, swimming pool, and other facilities. This all-season recreational complex allows visitors to escape from daily life and relax. 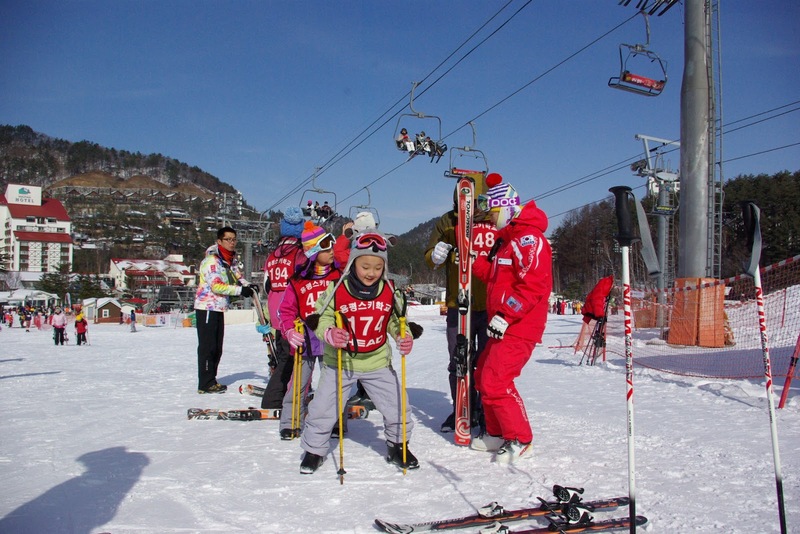 Located in Jeongseon, Gangwon Province, the High 1 Ski Resort is a great vacation spot for families as well as a top resort for advanced skiiers. Several beginner slopes are located right next to the intermediate and advanced slopes, letting skiiers of varying levels ski together. The High 1 Ski Resort is Korea’s most environmentally friendly resort and many of the native trees have been well-preserved. Resort planners hope to develop an all-season ecological tourist attraction, showcasing the region’s beautiful wild flowers throughout spring, summer and fall. In addition to a topnotch skiing experience, visitors to the High1 Resort can enjoy a truly unique dining experience. Located 1,340 meters above sea level is a revolving restaurant, which offers an incredible panoramic view of no less than three different mountain ranges. The restaurant goes through one full rotation every hour, giving diners a complete view of the beautiful scenery of the region. The restaurant goes through a full turn every hour. Other leisure facilities at the resort include a casino, golf course, sledding slopes, leisure sport facilities, and much more. The resort also holds a BBQ festival every year in summer. Article contributed by the Korean Tourism Organization. wow its great package and offer for the most memorable trip or tour. Thanks for sharing this nice info.